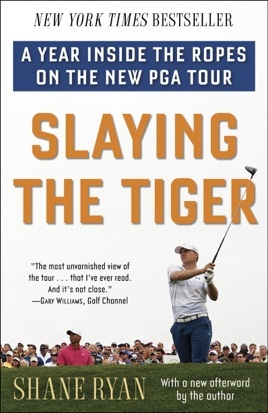 NEW YORK TIMES BESTSELLER • In Slaying the Tiger, one of today’s boldest young sportswriters spends a season inside the ropes alongside the rising stars who are transforming the game of golf. For more than a decade, golf was dominated by one galvanizing figure: Eldrick “Tiger” Woods. But as his star has fallen, a new, ambitious generation has stepped up to claim the crown. Once the domain of veterans, golf saw a youth revolution in 2014. In Slaying the Tiger, Shane Ryan introduces us to the volatile, colorful crop of heirs apparent who are storming the barricades of this traditionally old-fashioned sport. As the golf writer for Bill Simmons’s Grantland, Shane Ryan is the perfect herald for the sport’s new age. 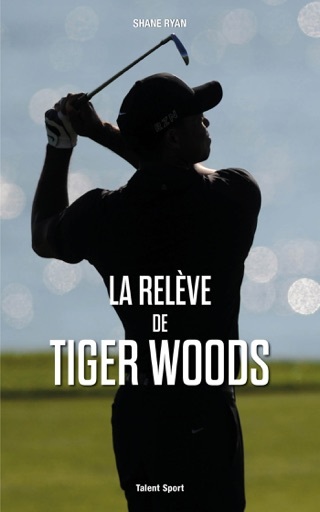 In Slaying the Tiger, he embeds himself for a season on the PGA Tour, where he finds the game far removed from the genteel rhythms of yesteryear. Instead, he discovers a group of mercurial talents driven to greatness by their fear of failure and their relentless perfectionism. From Augusta to Scotland, with an irreverent and energetic voice, Ryan documents every transcendent moment, every press tent tirade, and every controversy that made the 2014 Tour one of the most exciting and unpredictable in recent memory. Here are indelibly drawn profiles of the game’s young guns: Rory McIlroy, the Northern Irish ace who stepped forward as the game’s next superstar; Patrick Reed, a brash, boastful competitor with a warrior’s mentality; Dustin Johnson, the brilliant natural talent whose private habits sabotage his potential; and Jason Day, a resilient Aussie whose hardscrabble beginnings make him the Tour’s ultimate longshot. Here also is the bumptious Bubba Watson, a devout Christian known for his unsportsmanlike outbursts on the golf course; Keegan Bradley, a flinty New Englander who plays with a colossal chip on his shoulder; twenty-one-year-old Jordan Spieth, a preternaturally mature Texan carrying the hopes of the golf establishment; and Rickie Fowler, the humble California kid striving to make his golf speak louder than his bright orange clothes. Bound by their talent, each one hungrier than the last, these players will vie over the coming decade for the right to be called the next king of the game. Golf may be slow to change, but in 2014, the wheels were turning at a feverish pace. Slaying the Tiger offers a dynamic snapshot of a rapidly evolving sport. As the post-Tiger era moves to its conclusion, veteran sportswriter Ryan gives the readers an inside look at the younger set competing for dominance on the PGA Tour, refusing to treat "golf like religion with sacred grounds and mythical heroes." The old guard such as Nickelson, Garcia, Furyk and Els are somewhat invisible here, as Ryan devotes his attention to the young lions: the solid Victor Dubuisson, the cash-driven Jason Day, the chunky Patrick Reed, the stylish Rickie Fowler, the sensational Rory McIlory, and the Texas terror Jordan Spieth, winner of the 2015 U.S. Open. The author doesn't mince words in putting the strengths and flaws of each player under the microscope, and he particularly targets the media-hungry Bubba Watson right between the eyes with choice criticisms. Looming above these youthful competitors, there is the myth and reality of the legendary Tiger Woods, a fallen idol, who Ryan describes as "striding like a Colossus down the fairways he's owned for the better part of 20 years," now crippled with back spasms, a turbulent personal life, and a bad golf game. This chatty, opinionated account of the celebrated younger set on the PGA Tour is recommended for anyone who wants to get real insights on the players and the sport. This isn't just one of my favorite golf books of all time. It's one of my favorite sports books of all time. Shane's insight on the Tour's new crop of stars is both insightful and refreshing. He's not afraid to be critical of things that most other golf writers wouldn't dare touch. Having played golf most of my life, and watching the great tour pros make the game look simple; it was refreshing to read a book about their true feelings and emotions traveling the tour. As an avid golfer and lifelong fan of the game I've always been curious about the ins and outs of the PGA Tour. Slaying the Tiger unveiled a level of truth I never thought I'd understand. In depth profiles of the game's future stars combined with thoughtful explorations of the idiosyncrasies of life on tour made for an extremely compelling read. The level of insight provided will undoubtedly enrich my experience as a fan of the game for years to come. Needless to say I highly recommend it.